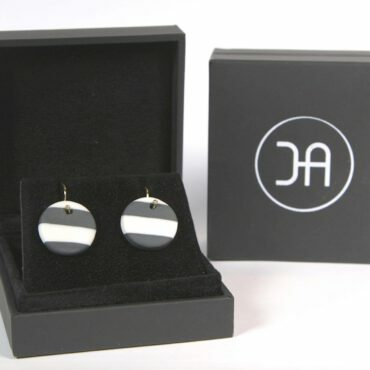 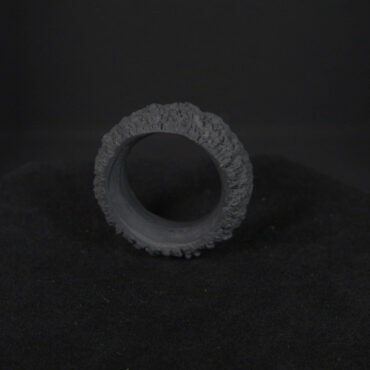 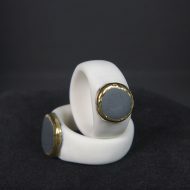 Handmade porcelain set of two rings ‘CIMA NERA’ . 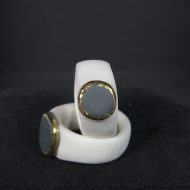 The rings are black and white with a 14k golden rim. 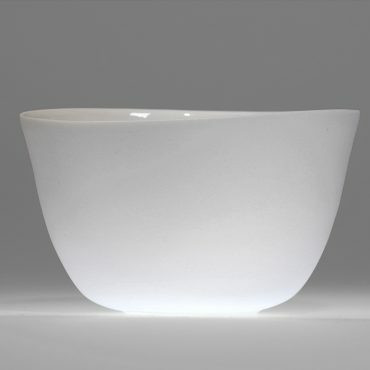 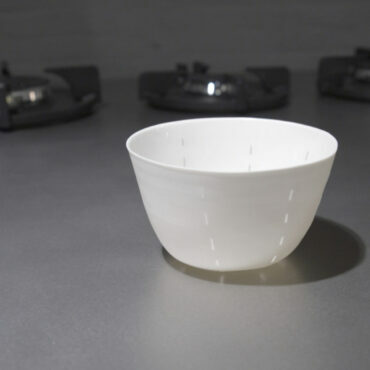 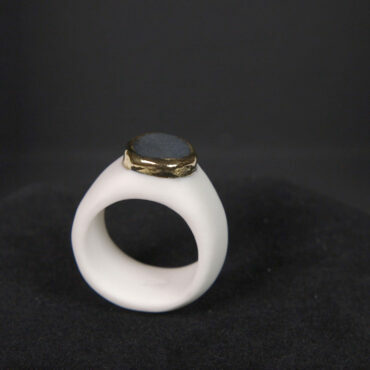 The artist Jacqueline Harberink left the rings unglazed to honor the purity of the porcelain. 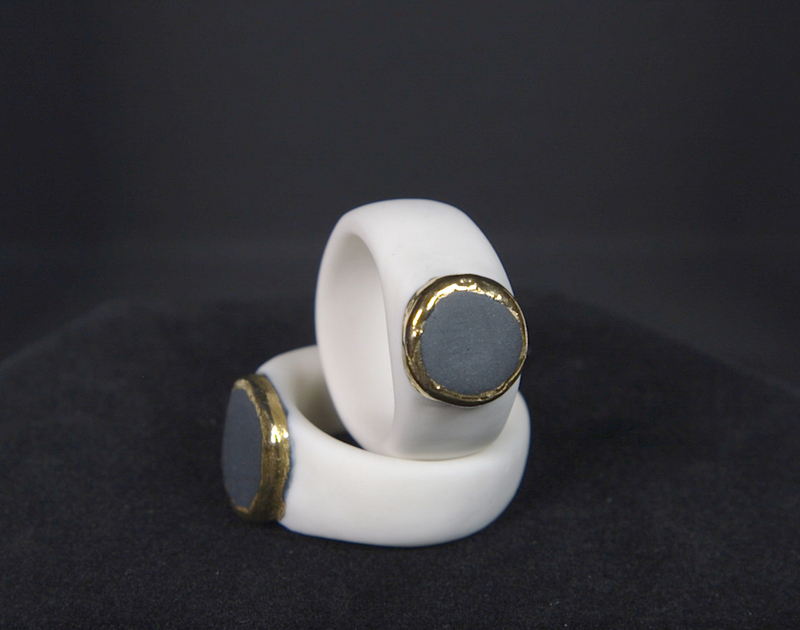 Handmade porcelain rings black & white with an gold rim. 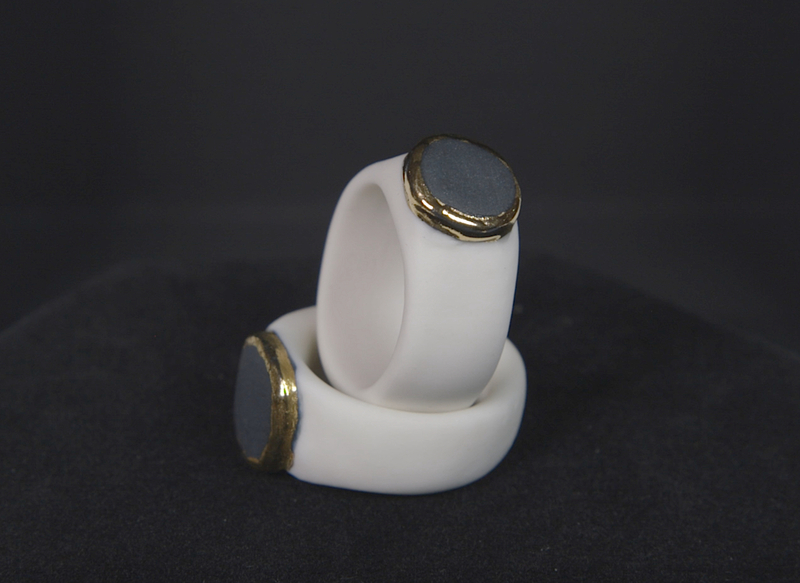 These unique ring is handmade. 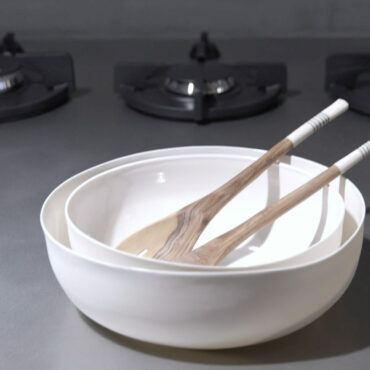 The rings are glazed on the inside and unglazed at the outside with a smooth surface. 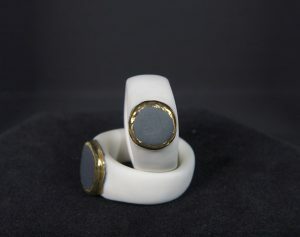 The rings come wrapped as a very nice gift.